Item # 311054 Stash Points: 1,999 (?) This is the number of points you get in The Zumiez Stash for purchasing this item. Stash points are redeemable for exclusive rewards only available to Zumiez Stash members. To redeem your points check out the rewards catalog on thestash.zumiez.com. 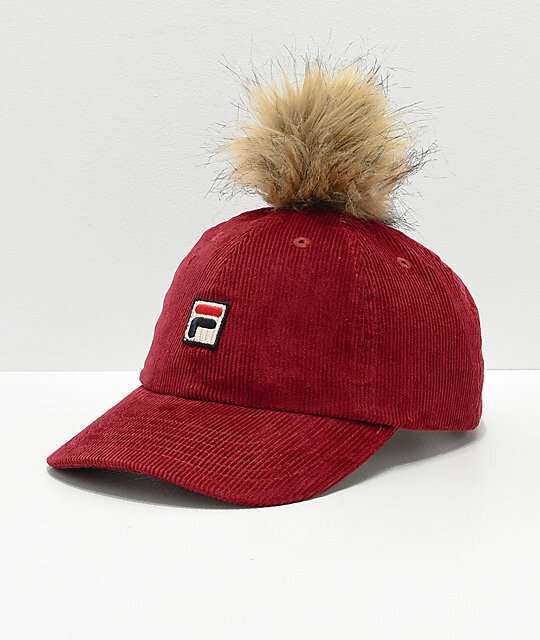 Elevate your looks this season with the Heritage Red Corduroy Pom Hat by FILA. 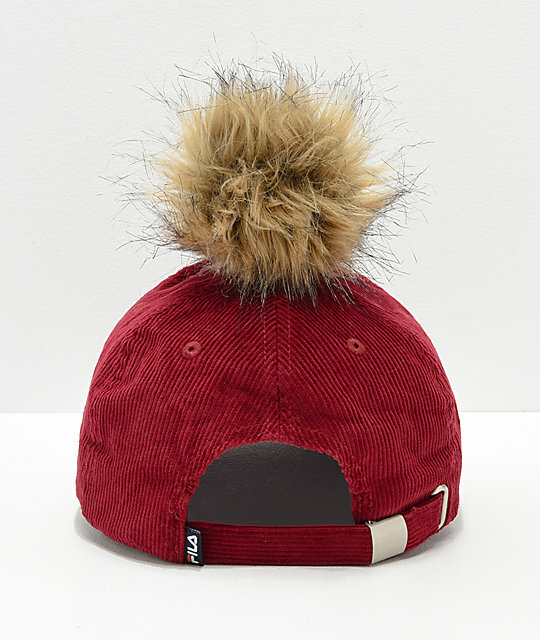 This unique design features a maroon corduroy construction and is finished off with a fuzzy pom on top of the crown. 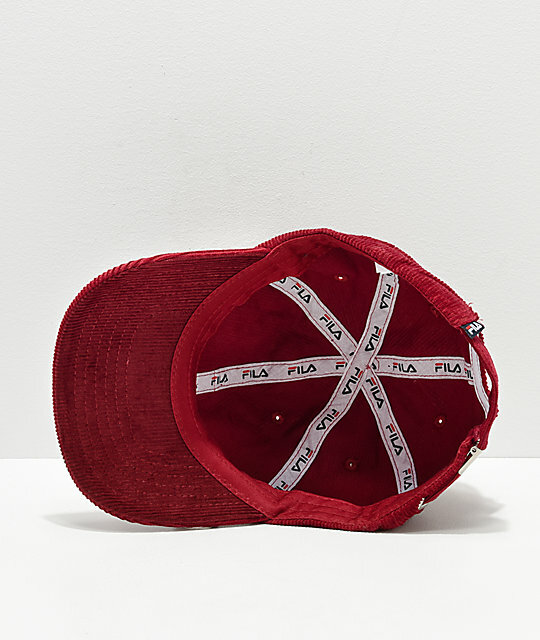 Heritage Red Corduroy Pom Hat by FILA. Embroidered FILA patch logo on the front. Faux-fur pom detail on top of the crown. 85% cotton, 15% rabbit hair.